We are delighted to support the Hong Kong Inter-School Mock Trial Championship 2017 which will be held at Hong Kong University this weekend, Saturday 28 and Sunday 29 April. 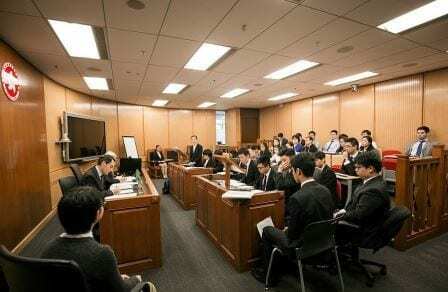 The Hong Kong Inter-School Mock Trial Championship (“HKISMTC”), established in 2013, is run by non-profit organisation ARCH Community Outreach to bring a new form of debate and public speaking to the students of Hong Kong. 24 schools will compete in four sessions across two days to win exciting prizes and the chance to compete in the International Mock Trial Championship in the US against other winning teams from around the globe. Spectators are welcome to attend this event; more information can be found on the website.